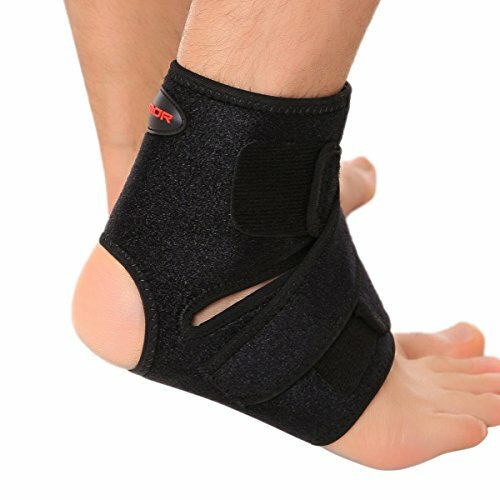 This BraceAbility plantar fasciitis night splint is a unique padded boot that holds the foot at a 90 degree angle to the leg, gently stretching the plantar fascia while one sleeps. Doing so will ease foot pain associated with plantar fasciitis. For a more extended stretch, one can add the included foam wedge insert. The night splint for plantar fasciitis is soft and padded for user comfort while sleeping. Wearing a boot at night can prevent the plantar fascia at the bottom of one’s foot from tightening, making for a more pleasant experience when one gets out of bed in the morning. 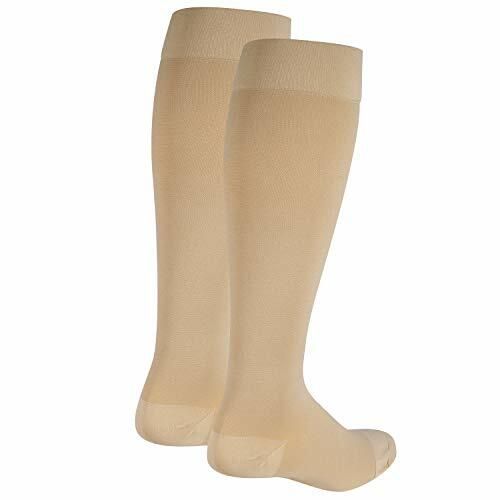 The foot brace for plantar fasciitis is covered with soft, padded material that is soft against the skin and prevents any painful rubbing or irritation. Every component of the splint for plantar fasciitis treatment that comes in contact with the skin is covered in this material. 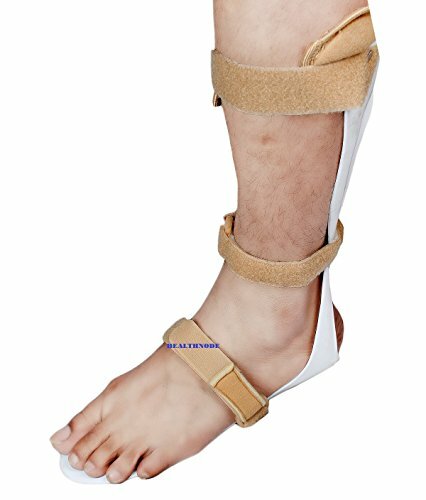 The night splint is secured with three Velcro straps, securing the foot at a 90 degree angle without being overly restrictive. The front of the boot is open, which enhances breathability of the support. One can also customize the length of the straps to fit one’s foot, ankle, and calf. The wedge insert attaches via Velcro to the toe area of the night splint, adding an additional 5 inches of stretch. The dorsiflexion position that this foot splint holds the foot in also makes it great for treatment options for other foot ailments, such as Achilles tendonitis or heel spurs. 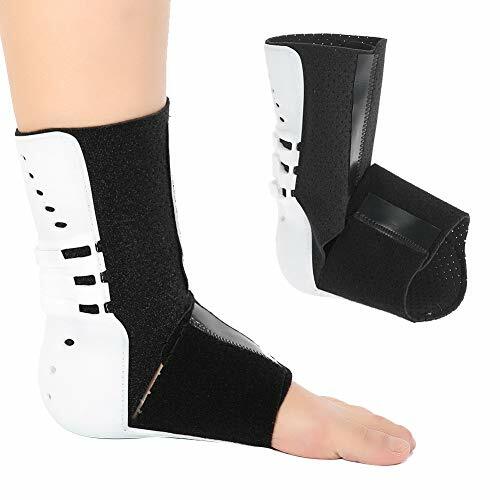 The night splint is free of latex and fits either the right or left foot. The night splint is available in sizes S-L, being measured by US shoe sizes. The boot fits men’s sizes of 4.5-13 and women’s sizes of 5-11.5+. SIZING INSTRUCTIONS: Before purchasing closely examine the sizing chart image to ensure your proper size is selected. Size SMALL fits US men’s shoe sizes of 4.5-7 and women’s 5-7.5. It weighs 13.6 ounces. 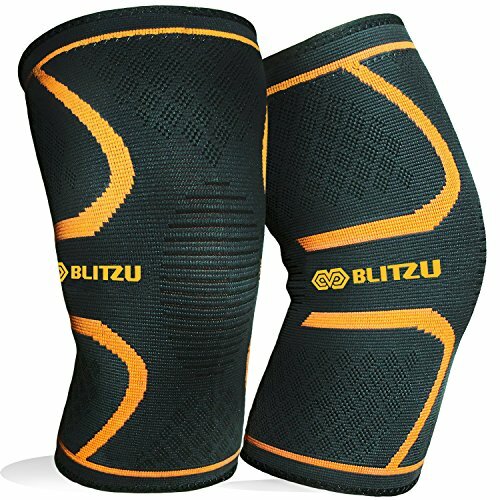 DELUXE PADDED LINING: Its rigid, plastic shell is lined with breathable foam padding for optimal comfort. 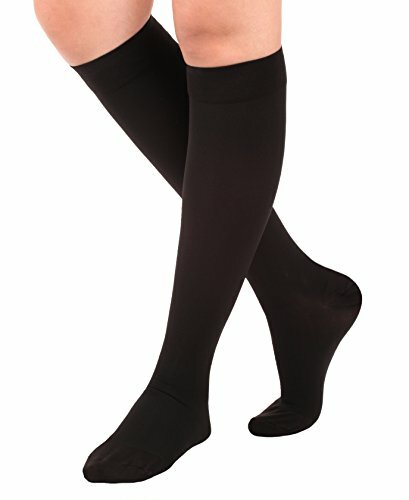 Removable for washing, the ultra-soft material eliminates skin irritation, preventing painful blisters and rubbing. OPTIONAL STRETCHING WEDGE: Elevating your foot for a greater stretch, the soft foam wedge promotes enhanced dorsiflexion for customized pain relief. Remove the wedge entirely for more neutral foot positioning. 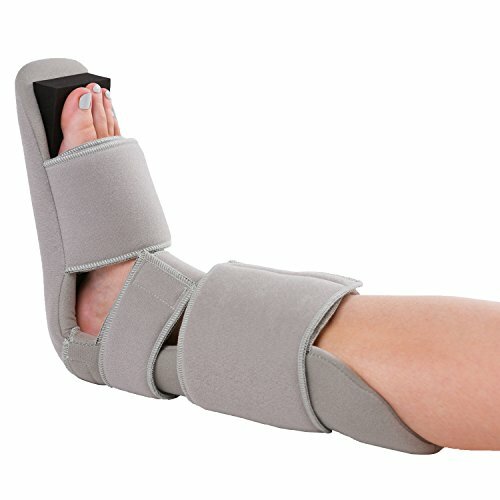 SOOTHE FOOT PAIN: Holding your foot at a 90-degree angle while sleeping to alleviate painful first steps in the morning, the BraceAbility night splint reduces pain and inflammation due to plantar fasciitis, heel spurs, foot drop, and Achilles tendonitis. 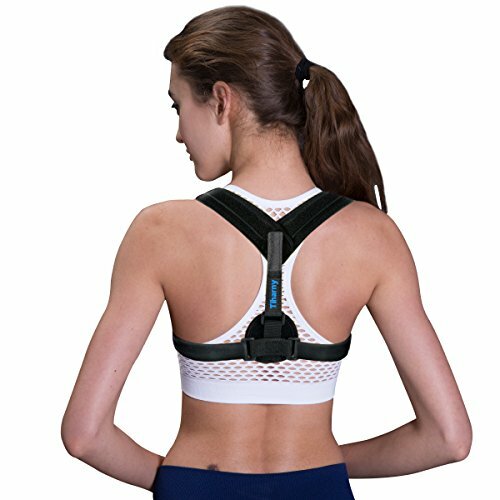 ADJUSTABLE FIT: Featuring three wide adjustable straps to ensure a comfortable, secure fit all night long, the latex-free nighttime brace fits men’s and women’s left or right foot, with or without a sock.